The powerful 1600w Tefal Toast ‘n’ Grill TF801015 Toaster and Grill is a powerful kitchen gadget. The full power can be deployed by using the boost button. This will allow you you to cook a pizza in just five minutes compared to the usual 15-20 minutes in most full-sized ovens. Cheese on toast is also a doodle with this grill. The grill is the size of a regular four slice toaster is 33.5 cm long, 35cm wide and 20.5 cm high. To make sure your food is cooked perfectly the grill is fitted with a 25 minute timer and has many settings to control your browning and cooking time. 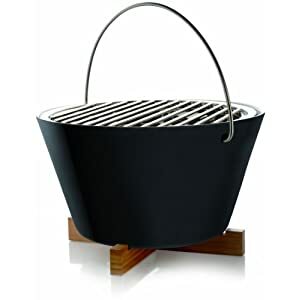 The Tefal Toast 'n' Grill comes with an enamel tray perfect for chips, vegetables and meat as well as a grill rack. To sum up the Tefal Toast 'n' Grill is easy to clean, powerful, versatile and very compact. What more could you ask for?